If a picture is worth a thousand words, then a Dark Model album is worth an epic movie trilogy. Think the Lord Of The Rings Trilogy on speed. I say trilogy, as opposed to just one film (which several composers use as their inspiration for scoring), because, unlike conventional composers, Dark Model’s Tatsuya Oe seems to have taken on the daunting task of filling the soundscape with so much texture that it is almost like he is manifesting several characters, emotions, and directing actions in each piece, not dissimilar from what a director does. When you hear a Dark Model track, the experience is akin to when the keen movie viewer comes to the realization that every aspect of what we are viewing on the screen before us is, in fact, a construct of several hands, performers, and pieces, but is often times a realization of a few (sometimes even one), yet it is still a fantastical ride. This is what it feels like to be sonically immersed in a Dark Model track. 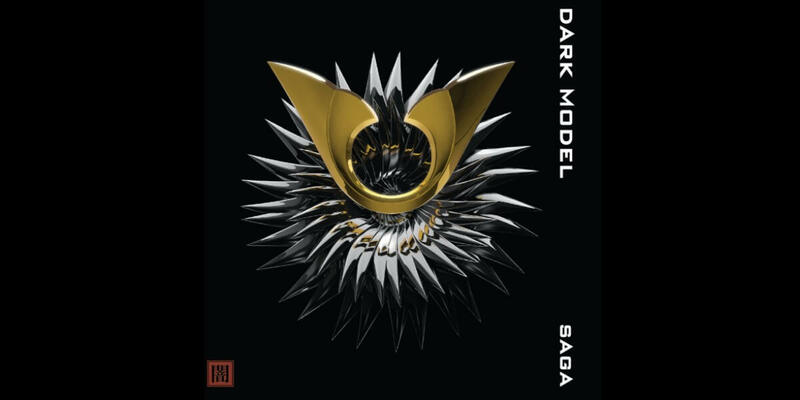 The new project from Dark Model is entitled “Saga” and it couldn’t be more appropriately named. Each song takes the listener on what feels like an epic life or death quest, where you are the hero. If you have been looking for your theme music when you go out to conquer, look no further. This album will turn a jog on the treadmill into a desperate run through Middle Earth. It will turn bobbing and weaving through cottage traffic on the highway in your Honda Civic before the beer gets warm into a race against time to save the girl in your Aston Martin before the missile she’s strapped to launches. And that’s what it’s all about, isn’t it? Why else do we play music while working out or while we are on the subway surrounded by other humans that we can interact with who all have headphones on? To escape, to pretend, to be somewhere else. This is Dark Model’s strongest skill. The texturing, the obvious musical expertise that he possesses which is showcased on every track, is what makes listening to a Dark Model album almost as satisfying an experience as seeing an action/adventure film on the big screen, and that, my friends, is hard to do. All movies have tag lines, and Dark Model’s “Saga” is no different: “Unleash Your Inner Hero”. Dark Model isn’t selling music. He’s selling a concept. That concept is you as the hero. It’s the closest thing to Musical Virtual Reality that you can get. I, myself, feel, while listening to this that I am not writing a blog piece, but that I am scribing a magical tome that, once delivered to my successor (long after my exile for attempting to liberate the masses by orchestrating a massive coup against the Overlord which succeeding in killing him but ended in my capture by his son and banished to a far away planet), would be the key to destroying the regime once and for all, and set in motion a long-awaited intergalactic era of peace. That’s what this is, right? So, follow these instructions… find that which would link you to all the knowledge and power you seek (try this), and obtain the sacred tones of the Gods, it will help you unleash what was in you all along. Please hurry… You are our only hope. To book Dark Model for your event or festival, click here.